Most of the time when I see advertisements in social media posts I ignore them. I don't like the fact that algorithms are able to track my internet usage and come up with what they think I need. And I really hate it when they're right. Many months ago I started seeing an ad for Chip Drop, a service that connects homeowners with arborists. You offer to take a truckload of wood chips, the arborists get to unload their goods without driving them to the dump, and the environment is happy for both of you. As the ad continued to haunt me in my social media feeds, I could feel my force fields weakening. Unlike the canine hot dog Halloween costume, this was something that I could actually picture myself using. I have 10 fruit trees and four garden beds in my yard. There is a lot of space between the top of the soil line and the top of the raised bed, so surely I could utilize a load of wood chips as compost/mulch. And with all of those fruit trees, I should definitely be concerned with moisture retention, so a thick layer of mulch is always a good thing. So, late one night, unable to sleep and seeing the ad pop up again, I decided to sign up. One of the cool things about Chip Drop is that you can specify what you are/are not looking for. You can opt in for all logs, some logs, or no logs. 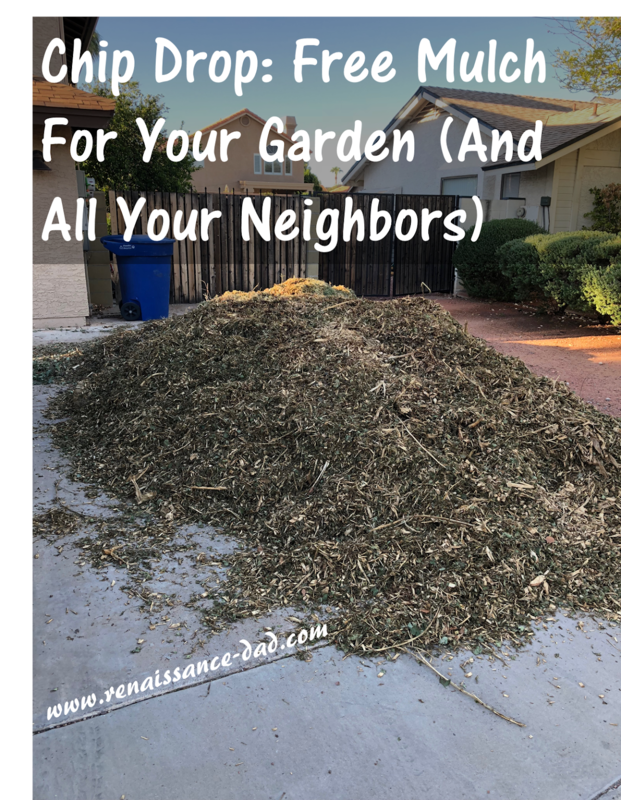 You can specify what types of wood chips you do or do not want (I put no palm tree, cactus, or African sumac trimmings). Within three days, I had notification that I would be receiving a load of wood chips. And the day after the notification, I came home to a pile of wood chips in my driveway. "Pile" is probably not the correct word. Mountain, heap, mass... It was a lot. As I started to enthusiastically shovel, wheelbarrow, and dump the chips into my garden beds, my garden started to transform. My half-filled garden beds now had a thick layer of mulch on top, ready to hold in the moisture and keep the roots from getting too hot. Once all of my garden beds were topped off, the pile looked as if I hadn't started. So I moved on to the trees. Three or four wheelbarrows per tree, piling the mulch around the base to feed, nourish, and keep the moisture in the soil. Still the pile in my driveway seemed Sisyphean, with logs being piled for firewood and all of my trees and garden beds heartily mulched. 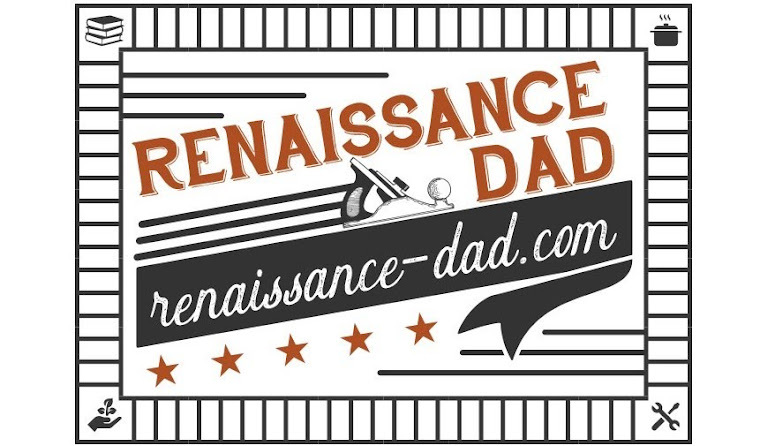 I finally attached a great word to the wood chips in my social media world - free. I posted free wood chips and mulch on every platform I could imagine, and slowly but surely people have taken the pile away, to the point that it is almost gone. So to anybody contemplating using Chip Drop for your garden... I highly recommend the service. It is fantastic, free, and exciting (in that "free-mulch-for-your-garden" kind of way). But, I would also make sure that you have several neighbors lined up to take some of the wood chips as well. Unless you'd like a mound of mulch in your driveway for...well...ever. Maybe I can throw some Christmas lights on it and add it to my holiday decorations. Please contact me if you need some mulch.